With a modern car stereo in your car, a journey with safety and pleasure will be always with you. Therefore, it’ s a great idea for you to replace your factory radio with a modern car stereo which can support a lot of up-to-date features. 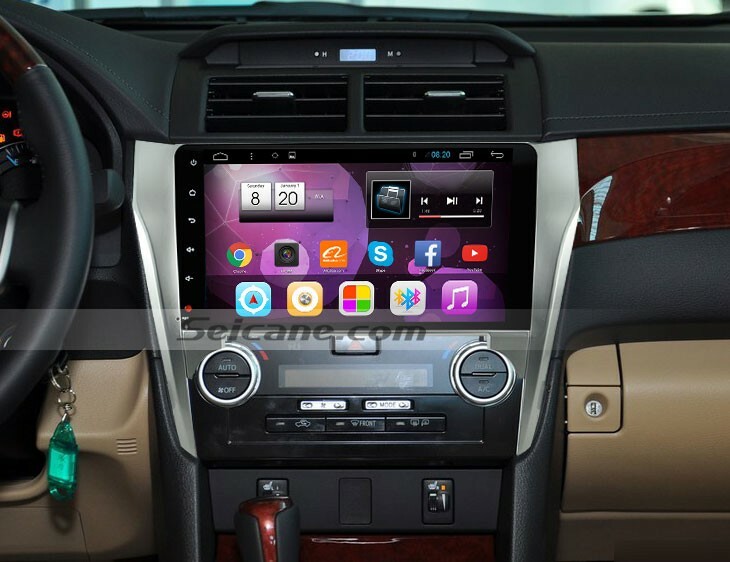 Please look at the picture below, it’s a multifunctional 2012 2013 2014 Toyota CAMRY car stereo after installation from Seicane. If you have the same dashboard, you can refer to the following instructions to help with the installation. 1）Unclip and remove the air-condition vent. 5）Unclip shifter then use shift key override lever to pull shifter down, this makes it easier to remove the panel, then unplug the connector（Have e-brake on. 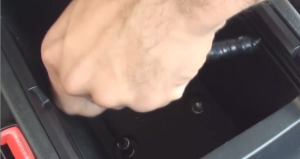 11）Remove four 10mm bolts holding radio in the dash. 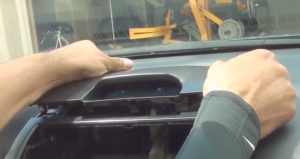 12）Remove the factory radio out of the dash and unplug connectors. 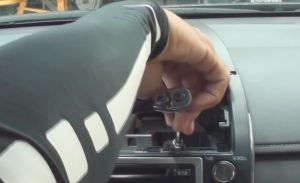 14）Connect the new Seicane car stereo to your Toyota CAMRY, you should check whether your connections are correct, the new unit is in right position, and you’d better have a tidy for the cables. 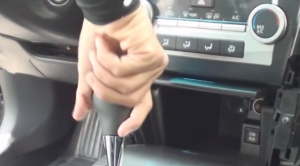 15）Check whether the new Seicane car stereo is working without problem. 16）If there is no problem, firm removed screws and bolts that are put aside, then make trim panel back on your new Seicane stereo. 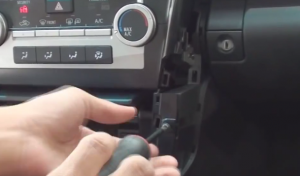 It is not too difficult to install a new stereo in your car. However, if you don’t have any experience on the installation, it’s suggested you have a professional install it. If you have any questions, you can turn to your dealer for help. With this latest GPS navigation system built in the 2012 2013 2014 Toyota CAMRY car stereo to offer worldwide real-time traffic situation and voice prompts, you can go anywhere without getting lost any more. Another highlight of this unit is its built-in Bluetooth technology which allows you to link with your enabled mobile phone via wireless connection to make and receive hands-free calls and stream music to keep your journey safe and delightful. Wish you have a wonderful time with this 2012 2013 2014 Toyota CAMRY car stereo on all your trips! It’ s just the perfect companion all the way for you!